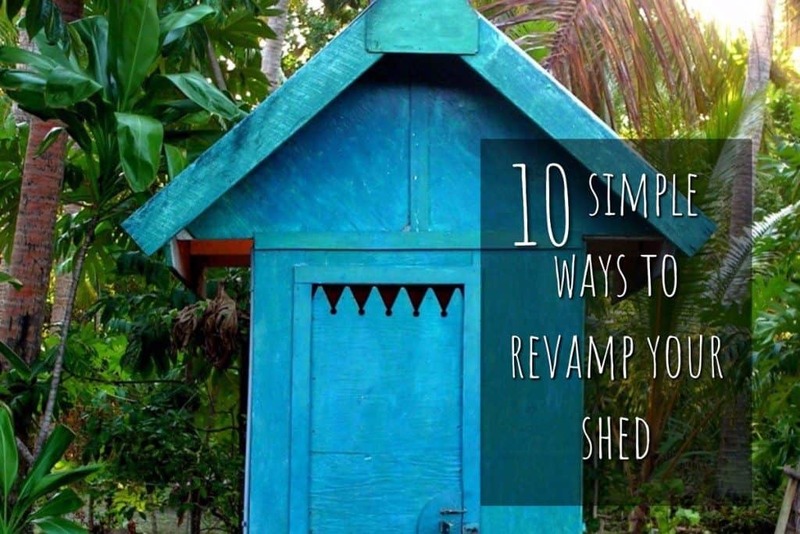 A shed is no longer just a space to keep garden tools and general clutter you rarely use. As shows such as Shed of the Year are becoming increasingly popular, more and more people are looking for inspiration in enhancing their shed design and creating a unique space for their garden. Here are some simple ways you can make a space that’s perfect for you. Give your shed clear direction with a design you want to incorporate into it. There’s an abundance of styles you can choose from. Be it shabby chic, Scandinavian, beach-hut or American shaker, one style certainly doesn’t fit all. However, the advantage of giving yourself a goal of what you would like your overall shed to look and feel like, gives you style cues about shed design interiors, i.e. colour, furnishings, and accessories. If you want to make your shed a real feature in your garden, the simplest way to do this is to paint the exterior in a vibrant colour that makes a statement. It’s an easy way to jazz up the smallest and saddest-looking of sheds and give your neighbors something to talk about at the same time. Lighting is an important factor to consider when revamping your shed, there are a ton of ways you can make your space feel ambient with lighting. 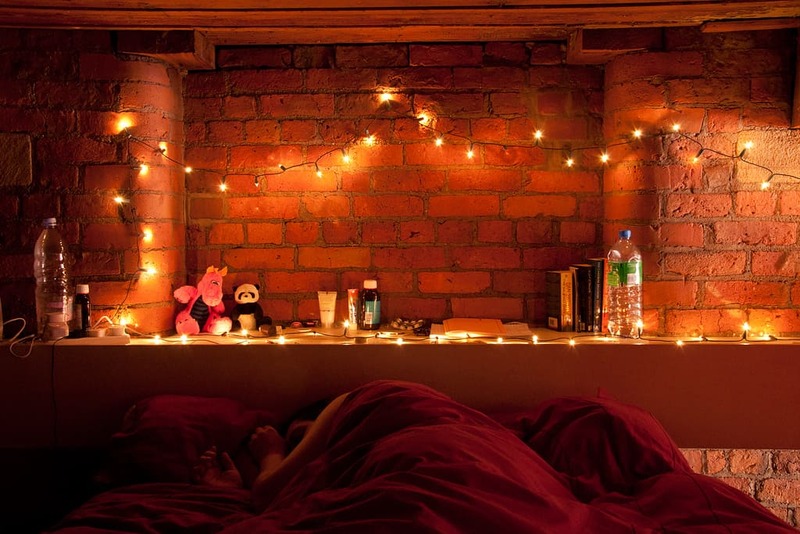 Try adding some string lights attached to the ceiling, or place them in a glass jar or lantern for a cosy, homely effect. If you don’t have any plug sockets in your shed, battery string lights are a great option! 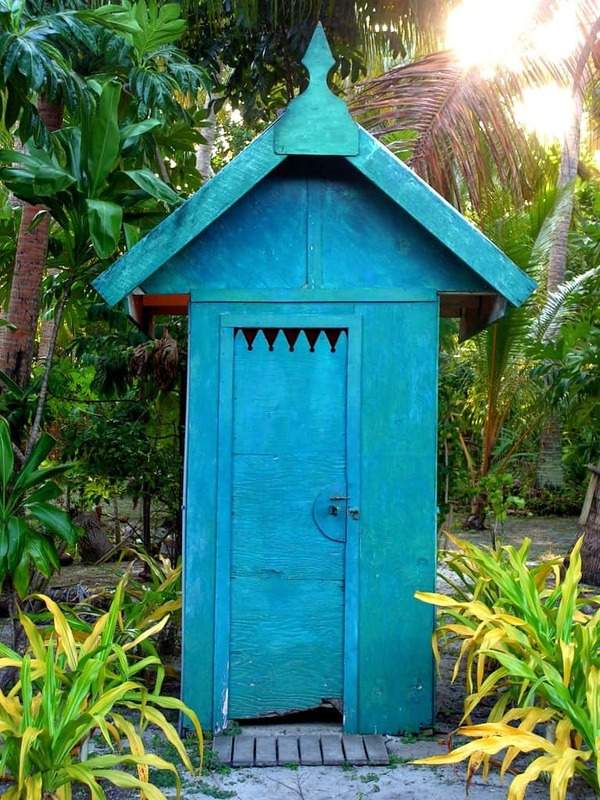 You can also add outdoor string lights to the exterior of your shed to give it a beach-hut tropical vibe. Working from home can be difficult with a number of distractions you face around the home. 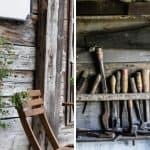 A simple way to get some peace and quiet as well as get more work done, would be to transform your shed design interior into a functioning outdoor office or studio. This can be as simple as adding a desk, chair and some shelves! To make your shed feel homely and unique to you, add some personal touches. Be it a few plant pots, photo frames, bunting or cushions, cheap and simple personal touches can make a huge difference to the overall feel of your shed. Recycling is a popular way to improve your space, start off by looking in charity shops and at car boot sales if you’re unsure of where to find these great potential items. Or, for an even more, cost-effective alternative, have a look around your home and see if there are any unloved items you could up-cycle and place in your revamped shed. Painting a wooden chair and upholstering the seat cushion is one of the easiest ways you can transform a piece of furniture, all you need is a stapler. Give it a go! To maximise space in your shed, painting walls in a simple colour palette and especially in white helps to emphasize the feeling of space. Mirrors are also an effective way in creating the illusion of space and bouncing light around the room. 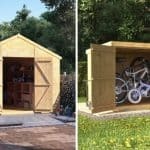 This can make all the difference when your shed is used as a storage or workspace. A fun way to add something new to your shed, crafting can be as easy or as difficult as you like. 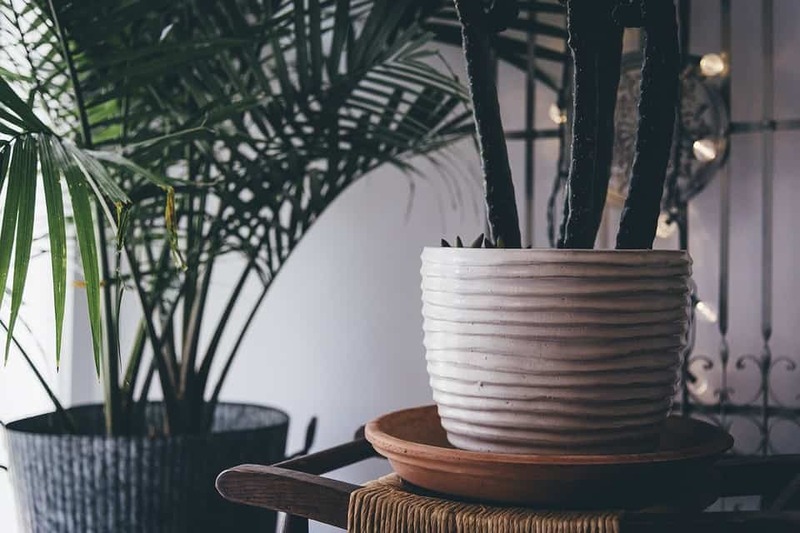 Simple projects you can do to get started are; jazzing up a plant pot, adding pom-poms to a cushion or making art for your space with tiles, paint or whatever you can get your hands on. If you are more advanced in this area, why not have a go at some carpentry for your shed. Crafting should be fun, all you need is a little imagination! Who doesn’t like the sound of a pub in your own back garden? 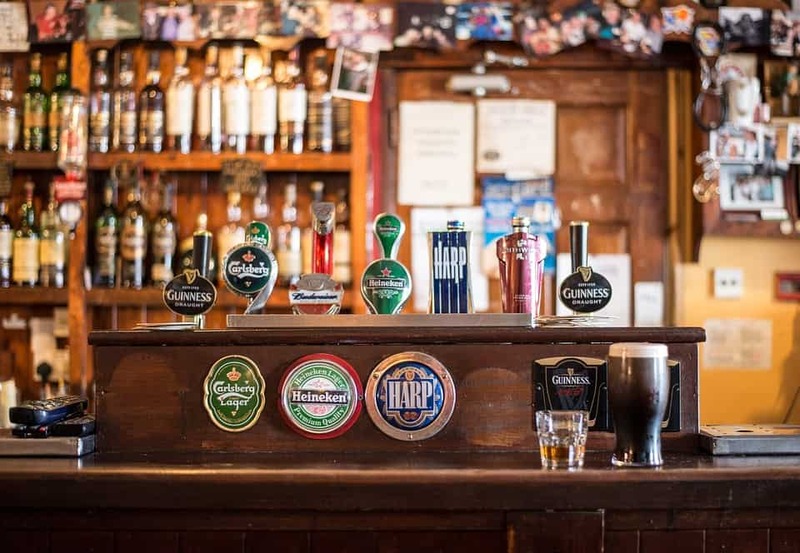 Turning your shed into a tavern doesn’t have to be a major expense, create a bar from reclaimed wood, buy a couple of second-hand bar stools and add the beverages of your choice. Get even more into the swing of it by adding a dart board and some pub memorabilia for a one off shed design! Nothing shouts cosy like the warmth of a log burner, therefore, adding a chimney to your shed makes a rustic and homely addition, but more importantly, keeps you toasty so you can enjoy the benefits of your shed even in the coldest of winter months.